This book centers around nouns. It presents many different nouns throughout the book and even presents the nouns in different color text. It is engaging and makes introducing or reviewing nouns a more enjoyable experience for all without as much work. 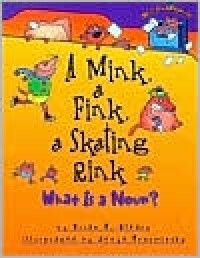 I would use this book to introduce the topic of nouns or review in upper grades.